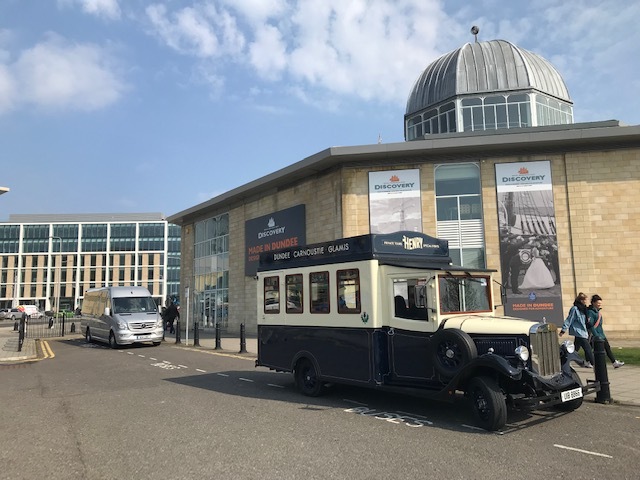 Start off your visit to Dundee the best way possible and let Henry take you on a small group tour (8 persons max) of must see locations in Dundee and Broughty Ferry. 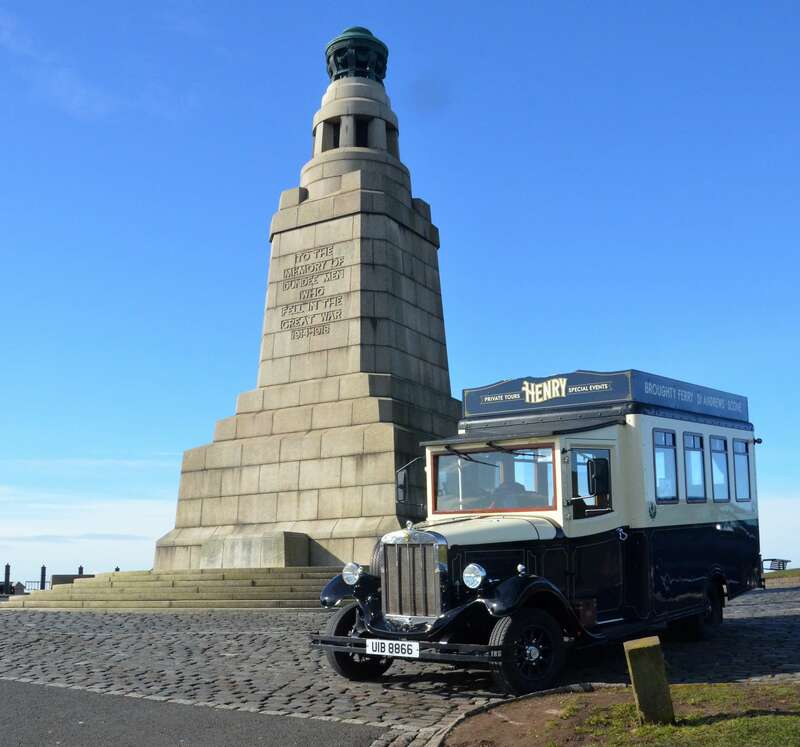 Our Friendly driver will point out tourist attractions and the must-see sights en-route. 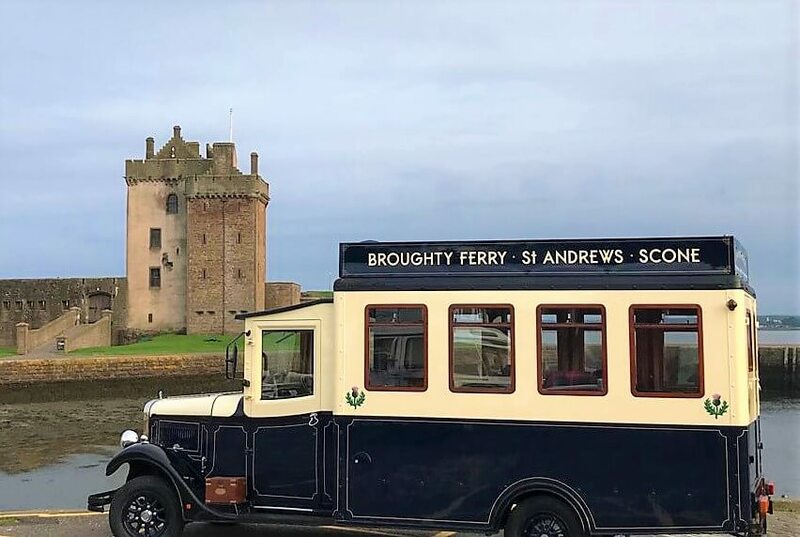 This is a unique and charming experience aboard our Asquith Palace luxury vintage bus called Henry. This tour is suitable for 8 passengers max. And patrons who are 12 years of age or older. Henry is not accessible for some disabled/wheelchair passengers due to his steps at entrance. 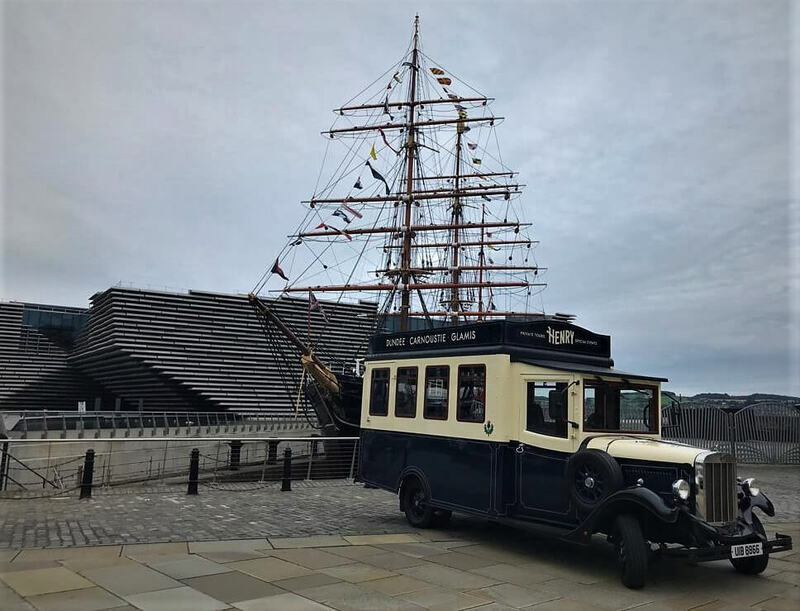 We pick up - and drop off - at the side of the RRS Discovery Point in the bus bay.